Gensler has designed the headquarters of online video service Hulu which is located in Santa Monica. In March of 2013, the Hulu Headquarters moved into a new space located at 2500 Broadway in Santa Monica. 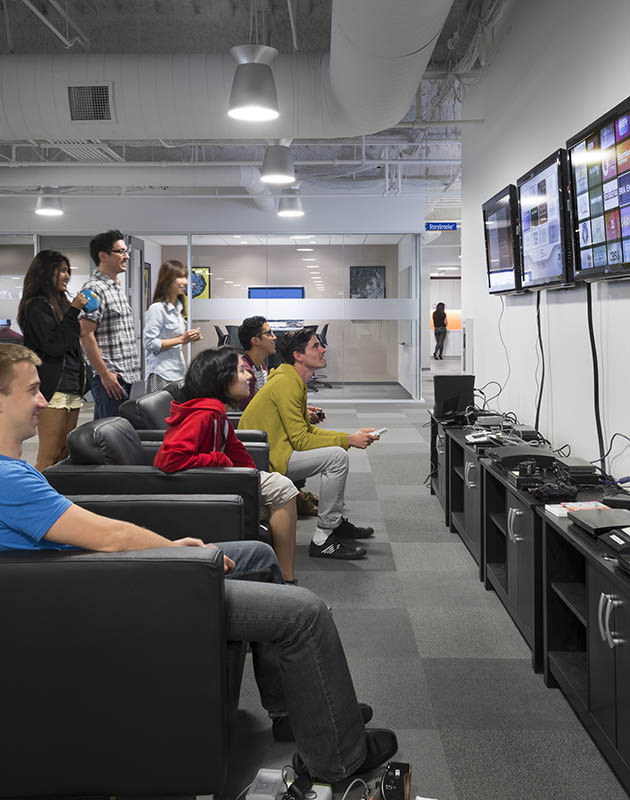 The completely custom-built space is designed to specifically meet the needs of our current and future team members. The space is two connected floors and includes more than 95,000 square feet. Months of research were poured into understanding how the Hulu team currently works, and how we want to work in our future space. In our research, we discovered that we do more than just work at Hulu. 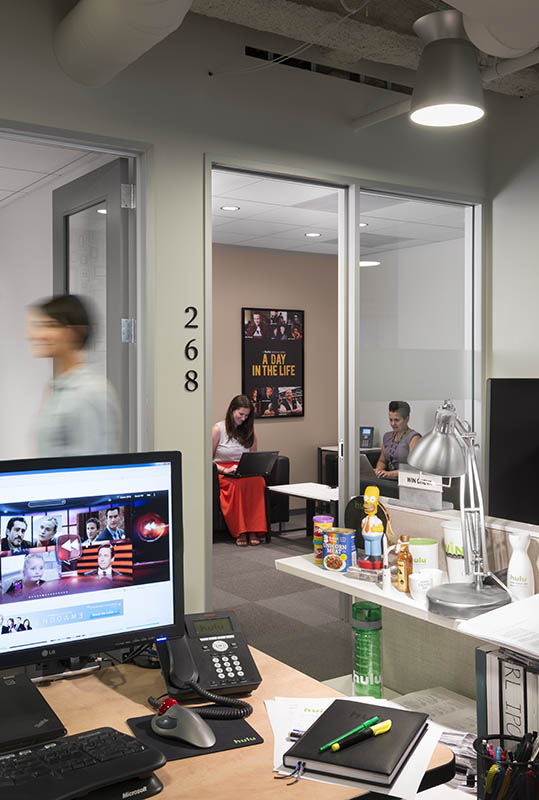 In keeping with Hulu’s company culture, conference rooms and hallways were named after iconic TV locations. 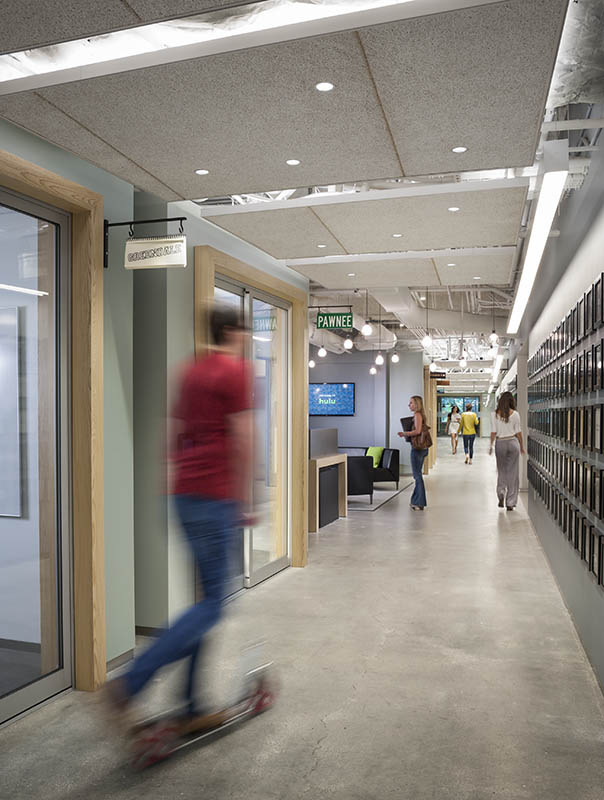 Hulu’s office is designed to give the right mixture of spaces for the types of work that happens on a day-to-day basis. Conference rooms were created based on availability, acoustics, comfort, privacy and set up. 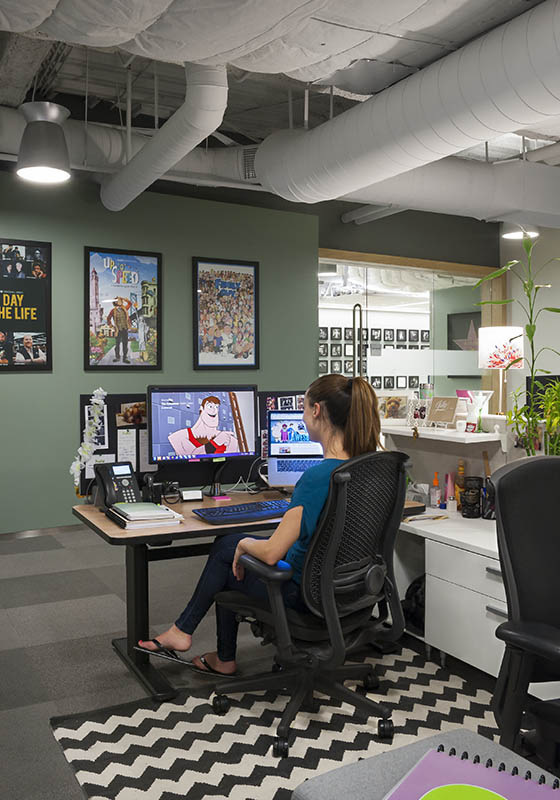 84% believe Hulu HQ represents our Hulu’s culture in an above average way. Over 50% of respondents said that that are more productive in the new Hulu space by 20% or more (with 17% of those saying they are 60%+ more productive).